This year�s prize was judged by Belinda McKeon. McKeon�s debut novel Solace won the Faber Prize and was shortlisted for the James Tait Black Memorial Prize. Her essays and journalism have appeared in the New York Times, the Guardian and the Paris Review. As a playwright, she has had work produced in Dublin and New York, and is currently under commission to the Abbey Theatre. She lives in Brooklyn and is Assistant Professor of Creative Writing at Rutgers University. With thanks to Circle of Misse for the second prize of a week-long writing retreat at their house, which rests on the banks of the Thouet River, a tributary of the Loire. 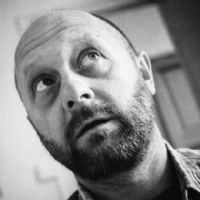 Owen Booth�s short stories have appeared in The White Review, Gorse, Hotel, Spur and 3AM Magazine, among others. He won the 2015 White Review Short Story Prize. He is currently finishing a comic/experimental novel but doesn�t want to jinx it. He is on Twitter as @owenbooth. 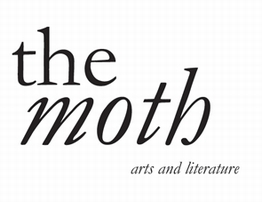 All three stories are published in the autumn 2017 issue of The Moth, available to purchase here. KT Sparks is a farmer in Virginia�s Shenandoah Valley. Her short fiction has appeared in Word Riot, Citron Review, Jersey Devil Press and WhiskeyPaper, is upcoming in Jellyfish Review and was recognized in the New Millennium Writing Awards. Her novel, Four Dead Horses, took first place in the 2017 James River Writers� Best Unpublished Novel Contest and will be excerpted in the September issue of Richmond Magazine. Bonnie Etherington is from New Zealand but spent most of her childhood in West Papua and Darwin, Australia. She currently lives with her husband and cat just north of Chicago in the USA where she is a PhD student in English at Northwestern University. Her first novel, The Earth Cries Out, was published by Penguin Random House NZ in March 2017. 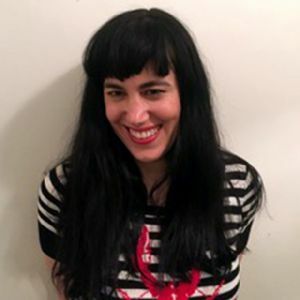 Emily Vizzo is a California-based writer. Her essay �A Personal History of Dirt� was honoured as a notable essay in Best American Essays 2013, and she was selected for inclusion within Best New Poets 2015. Her chapbook GIANTESS is forthcoming in 2018 from YesYes Books and her novel is represented by Frances Goldin Literary Agency in New York. Claudia Lambert writes short stories and poems. Her creative writing was published some years ago in a CD Rom anthology of short stories and poems entitled Walkabout. This year after too long an absence, she is returning to creative writing, with the hope of building up to writing a novel. She was shortlisted for the Escalator 2017 Award offered by the Writer�s Centre in Norwich.